With reasonably priced ground transport and access to the internet, more and more people are looking to get their first English Angora rabbit. In the past when people wanted to get started, they would go to a show, meet people and learn before getting their first rabbit. But now, with ease of access to information, many people purchase sight unseen without really learning. These people sometimes end up purchasing inferior rabbits and needing to start over with different stock once they learn. Here are some tips to get started with English Angoras the right way if you are looking to buy or recently started in the hobby. 1. Visit an ARBA Show to Visit with English Angora Breeders. Most places in the United States have rabbit shows on a frequent basis. If you want to visit, all you need to do is show up! You will meet many people with a wealth of rabbit knowledge, and may even get to meet your local experienced English Angora rabbit breeders. Even if you do not find any English Angora exhibitors, any experienced rabbit breeder will be able to provide you with a wealth of knowledge, and more then likely has a friend that raises the breed they can put you in contact with. In fact, I am always shocked at the people who buy their first rabbits from half way across the country sight unseen from an inexperienced breeder and THEN come to their local show. It is then that they realize they could have purchased better quality rabbits locally without transport expense and hassle, as our state is one of the best places to find quality rabbits of almost every breed. Your state may not be so blessed, but you do not know if you do not go! Also, even if you have to purchase sight unseen from across the country due to unavailability, your visit should give you some contacts then can answer questions about rabbits once your new animal is here. Does the idea of attending a show intimidate you? It shouldn’t! Rabbit shows are by far the most laid back and casual atmosphere of any livestock exhibition. You will see 1 to 2 thousand rabbits, meet experts who love to talk to new people, shop for rabbit equipment, and have an all around great day. No amount of internet research will compare with the knowledge you will acquire from visiting a rabbit show, and the info you will get will be far more reliable then all of the “expert” advice you see on Facebook. Should I go even if I am not interested in showing? Yes, go visit one anyway! You will not find any other gatherings of rabbit experts. You do not need to show or be interested in showing, just go to get rabbit knowledge and maybe buy some neat stuff for your bunnies! How to Find Rabbit Shows. This step is easy! Just go to the American Rabbit Breeders website by clicking here. There, you will find the link “jump to show search.” Enter your state or a close by state and start making plans to go, walk around, and make life long friends. 2. Purchase English Angora Rabbits from those with the Ability to Mentor. Often, new people buy from those that have the cheapest stock and are inexperienced. Nothing beats the benefits that you receive by purchasing your animal from someone who has the knowledge to mentor you or has an experienced mentor themselves. Whether you have a grooming or feeding issue, you can get answers to your questions quickly and accurately. 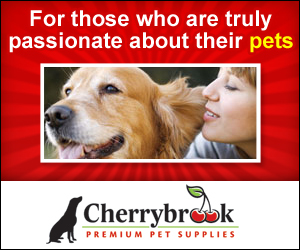 $15 off your $150 order with code PRIDE15 at Cherrybrook Pet Supplies! Rabbits from experienced breeders are more expensive for a reason – you are purchasing an animal bred correctly for health AND you are getting access to an encyclopaedia of knowledge. More then likely, you will be happy that you have this access someday. 3. Buying an English Angora Based on Color is a Rookie Mistake. When you are buying English Angora rabbits, buy the best you can afford, and do not pass up rabbits because they are not your favorite color! I am always amazed that it isn’t the best rabbits that sell first, but instead the coolest colors. That is a rookie mistake that you can easily avoid! All of us have colors that we love, but if you are starting your herd, you have other things to worry about at that stage. In fact, if someone has a Ruby Eyed White for sale, chances are it’s been passed over by people looking for specific colors. I can’t count the amount of times I have had my rabbits sell out except the Ruby Eyed White which was by far the best one. Or, because many of my best rabbits are black, people will ask me if I have any other colors after I give them my list of mostly black rabbits. The reason I have a lot of a specific color is because with each generation I keep the best no matter the color and just by chance, they have been black the last few years. If this was not the case, my whole herd would be chocolate and pointed white! I have chocolate and pointed white, but If they are in my barn, they deserve to be there – they get no special treatment because of the color. My most hated color is blue and blue tort, but if I am rabbit shopping the best one comes home with me, even if it has a color I despise. After you have a nice quality herd of English Angoras, then it is time look for that pretty rabbit of a color you always wanted to begin your journey of breeding in color genetics that you like. 4. When You Have an English Angora Problem, Reach Out and Ask an English Angora Expert! Part of purchasing your English Angora from an experienced person is having the access to information. If you have a problem, reach out and ask them! Don’t put a post on Facebook if you seriously want to learn, as often you will get several bad answers and only a few good ones. If you are inexperienced, you have no way to know! Even if a person is your best source, there are some groups which monitor answers and delete uneducated ones, such as this group that I monitor that you can join by clicking here. I can’t tell you how many times people purchase English Angoras and then sell them six months later without ever asking me any questions. Their issues would almost always have been easy to solve with a little guidance, but they struggled so long without the right information, not reaching out, that they just give up. English Angoras are not a hard breed, they are a knowledge breed. There are tricks you need to learn that are not intuitive and that you probably do not know. In fact, English Angora Rabbits are different from all other wool breeds, so even if you are a serious French Angora breeder, you will still need to reach out and ask questions or face a lot of frustration. If you are trying to handle them the way you handle your other wooled breeds you will not get the results you are after and may give up on the breed without giving them a fair chance. I often recommend that people START with English because of the many times I have seen this play out. Once you have English Angora Rabbits mastered, it is easy to go to other wool breeds, but not necessarily easy the other way around. Good luck on your new adventure getting started with English Angora Rabbits. It is a wonderful and rewarding challenge!